What Are Some Simple Ideas for Effective Kitchen Pantry Storage? Some simple pantry storage ideas include clear containers for dry goods, bins or baskets, pull-out shelves, and shelf dividers. Decluttering the pantry and sorting the remaining contents based on use helps keep the space organized. A pantry-cleaning session before adding storage solutions helps thin out the contents and group similar items together. Items nearing the expiration date should go toward the front of the pantry. Clear containers with airtight lids keep dry goods fresh and allow for a quick check on how much is left. Using similar containers makes the items fit into the pantry with less wasted space. 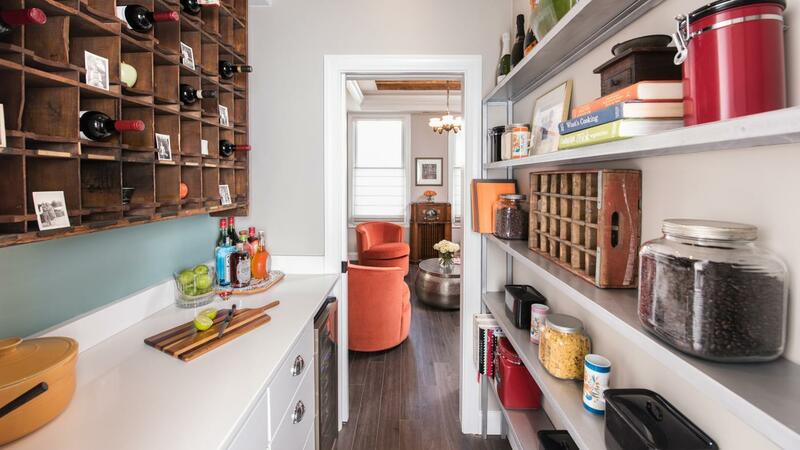 Choosing containers based on the spacing between shelves allows the user to maximize the height. Labels on the outside of the containers add to the organization of the pantry storage. Smaller items fit neatly in clear bins or wire baskets. The container keeps similar small items together so they don't get knocked over or lost in the pantry. Bins or baskets are easy to pull out of the pantry to find a particular item. Pull-out shelves offer a built-in solution to make it easier to find items in the pantry. The shelves typically have lips on the front edges to keep food from sliding off. When the shelves are pulled out, the contents are exposed. A low-cost alternative is to use a rimmed baking sheet on the existing shelf. The baking sheet slides along the shelf to make it easier to reach the back items. What Are Some Good Ideas for Organizing a Pantry? What Are Some Ideas to Organize a Small Closet? How Can You Store Small Kitchen Appliances? How Can You Improve Your Kitchen? How Do You Design a Kitchen Layout?